California State University, Northridge students and animation fans alike were invited to a free exclusive look inside the making of Ralph Breaks the Internet, the sequel to Disney’s Wreck-It Ralph, as well as a screening of the 19th Annual International Animation Show of Shows organized by the CSUN Department of Art and art professors Robert St. Pierre and Mark Farquhar at the Plaza del Sol performance hall Nov. 20. 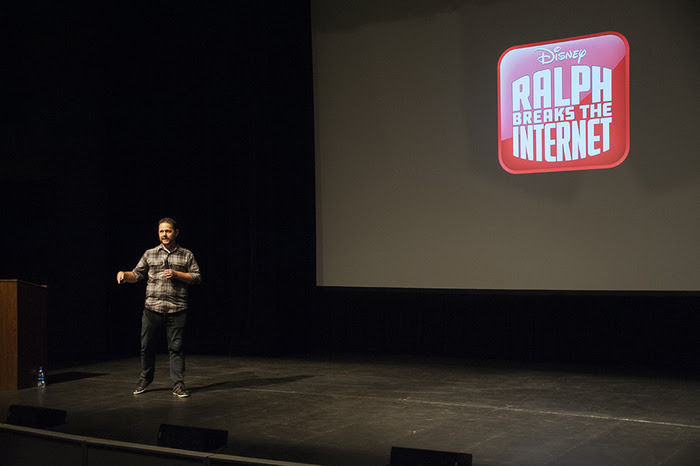 The audience was treated to a presentation of exclusive clips from the new film Ralph Breaks the Internet by guest lecturer Jason Hand, a Walt Disney Animation Studios story artist, and got a glimpse of the extensive process behind creating everything from background scenes to individual characters. 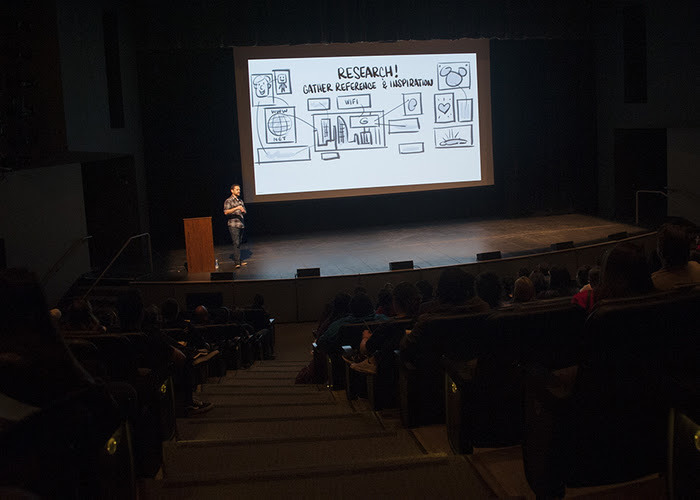 Those in attendance were also able to watch a selection of animated shorts called the Animation Show of Shows, curated and produced annually by Acme Filmworks founder Ron Diamond. Hand shared that an aspiring animator needs to develop a tough skin because not every idea will be great, and sharing ideas comes with streams of criticism, but hard work and never giving up on your dreams will eventually get you where you want to be. The Animation Show of Shows has been produced annually by Diamond since 1998, with the selection changing every year. The 16 critically acclaimed short films in the 19th Show of Shows originate from eight different countries. The shorts showcased a variety of artistic styles and genres, ranging from the Oscar-winning short Dear Basketball written by former Los Angeles Laker Kobe Bryant and animated by the world-renowned animator Glen Keane, to an abstract explosion of color and jazz in the short Casino. 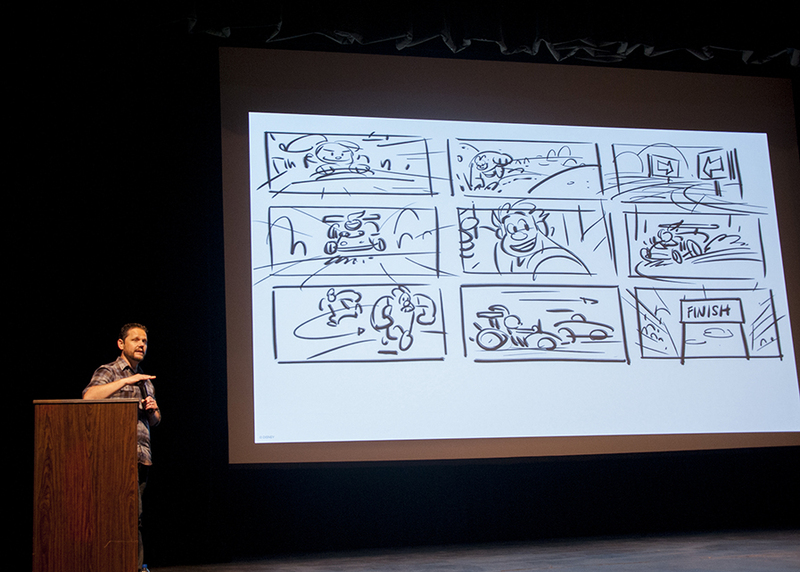 Speaking about the importance of animation in culture, Diamond shared the passion behind the show.